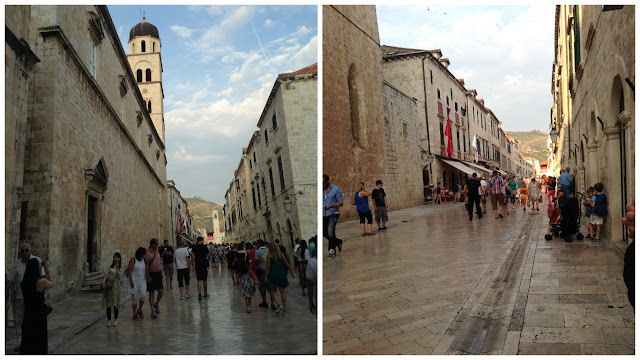 Venice to Dubrovnik, Croatia via Ljubljana, Slovenia featuring a week-long trip down the Dalmatian Coast. Getting around in Europe is easy and exploiting this is one of my favourite things to do when spending time exploring this amazingly accessible continent. One of the greatest joys of visiting Europe is the option of having a trip within a trip. And that’s exactly how our trip to Croatia started. 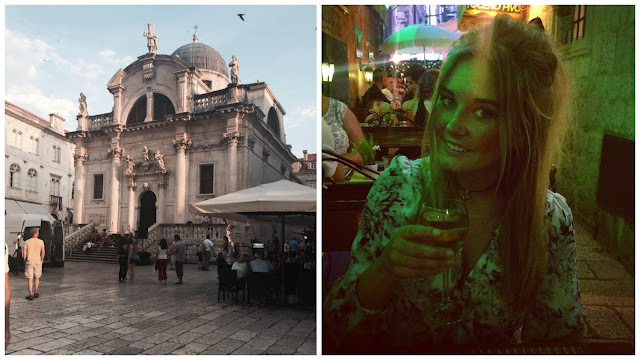 We decided to explore Venice, but incorporate this into a Croatian road trip where we’d use bus travel to get from Venice to Croatia. 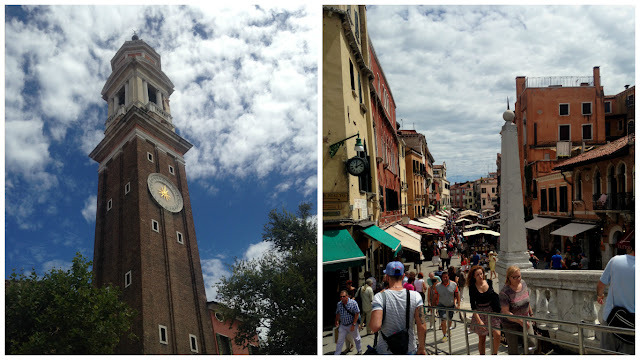 Our full trip itinerary was Manchester to Croatia with a first stop in Venice. From Venice we went to Ljubljana, Slovenia’s capital. From Slovenia we travelled to Croatia’s capital Zagreb, we then went on to see Pula, Split and then got to Dubrovnik where our trip would end. The entire trip would be done using bus transport, which is very common in Europe. 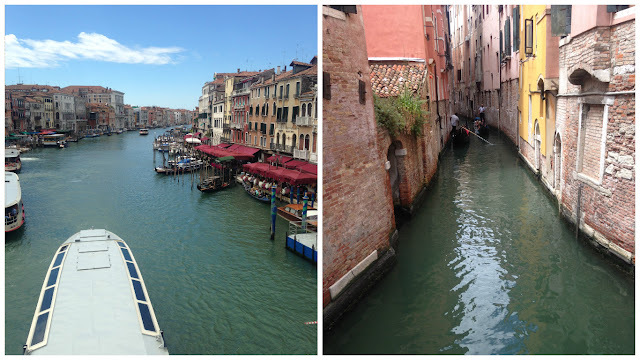 We started off our mini trip to from Venice to Croatia by flying to Venice from Manchester, a budget flight for a budget trip. We’d booked our accommodation and were staying just outside of Venice. A small place named Mestre, which isn’t actually Venice at all. A lot of people choose to stay in Mestre when visiting Venice. I know this because I’ve been lucky enough to see Venice a few times now. I lived very close to that area of Italy back in 2012. Mestre is the budget option when visiting Venice, you’re close enough to visit Venice everyday but you’re far enough away to not feel that tourist inflation that surrounds the grand city. We stayed on a campsite called Camping Jolly. It’s located outside of Venice in Mestre, but is much cheaper to stay here than central Venice. I’d definitely recommend this style of ‘glamping’ accommodation to anyone hoping to visit Venice on a budget. Camping Jolly is a clean and affordable option. As a bonus there is an incredible pool and lots of opportunities to meet other travellers. The nightlife at this accommodation is fun and budget friendly too. Venice is such an inspiring city, everything you see encourages you to see more. I generally hate spending too long in a city that feels overly crowded but there’s something about the charm of Venice that makes you love being a member of the mass of tourism. The story in Venice is very much the same there’s always another alleyway to slip down or another delicious restaurant to try and another refreshing orange coloured drink to enjoy. If you plan on a Croatian road trip from Venice to Dubrovnik, dedicate a few days to explore Venice. From Mestre and our time in Venice we traveled via shuttle bus across the Slovenian border and on to Ljubljana. You can grab these buses from outside the train station in Mestre. Very limited information exists about this option online so your best bet is to ask, ask and ask again until someone can give you information. The company that operates the Mestre to Ljubljana service is just new and we were taken aback by the lack of uniforms, official documents and any real organisation. A quick and easy border crossing with no stops thanks to our friend the Schengen, which allows you to travel freely within Europe. We reached a wet Ljubljana after a minibus journey through the lush green of northern Italy and Slovenia. The Slovenian Capital is a city I’d been fascinated with visiting for a while. The Gothic architecture, the bridges and the unknown-ness of visiting a destination most people can’t even pronounce, let alone choose to visit. During our trip to Croatia as part of our Venice to Dubrovnik by bus tour, it made perfect sense to split up the journey in Slovenia. And I’m pleased we did. Butchers Bridge: Butchers bridge is a Slovenian favourite of mine. 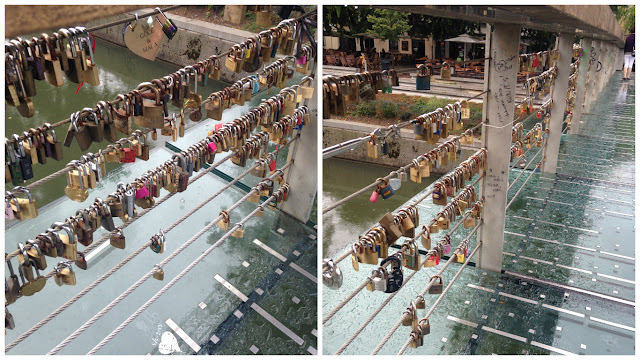 Even in the rain its an absolute must see when in Ljubljana. Walk the river Ljubljanica: At night was my favourite time to walk along the river and catch the couples placing their love locks. Enjoy the cafe culture and nightlife: The cafe culture and high density of bars in the central zone make the city buzz to life. Dimly lit streets and terraces filled with friends make this city a great place to enjoy the nightlife. Along with the wide range of things you can do in Ljubljana, the city is conveniently located to several areas of natural beauty. You should consider taking a day trip from Ljubljana if you are spending a lot of time here. There are a lot of backpacker friendly hostels in Ljubljana but I would specifically recommend Bed and Breakfast Atticus. We had a great experience staying here in a private room for two. 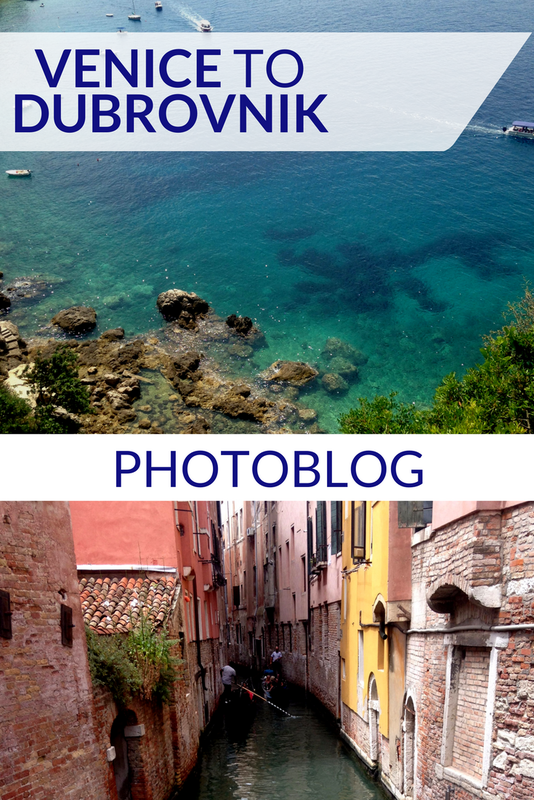 From Slovenia to Zagreb in our Venice to Croatia road trip. We entered Croatia after a strict border crossing, lots of line ups and lots of passport checking. From here we went directly to Zagreb. Once in Zagreb we headed straight to our hostel on the main tourist street Tkalciceva. Tkalciceva Street is the place to be in Zagreb, filled with bars, clubs and restaurants it’s any tourists favourite hang out. 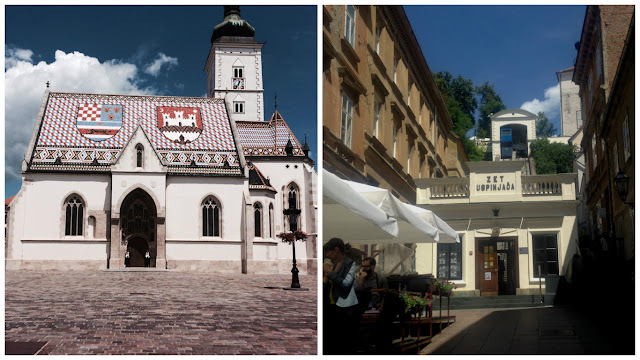 Filled with places to eat and drink when in Zagreb, you will want to find accommodation close to the area. Cheese and salad baguettes with extra garlic mayonnaise and optional salami became our thing. Each of the kebab shops that lined the main street sold filling tasty versions for pennies. Finding cheap eats is always a bonus when you’re travelling on a budget and Croatia is filled with just that. 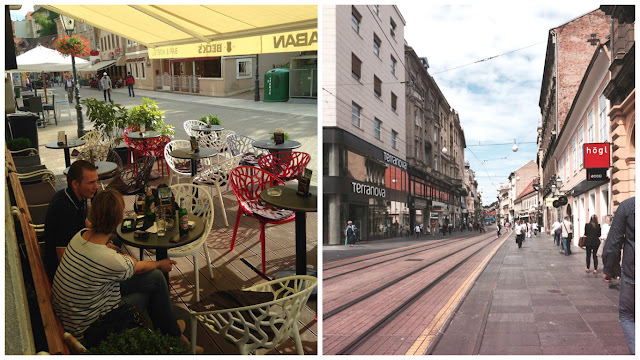 Shopping: We spent an entire morning shopping on Ilica, the longest street in all of Zagreb. The shopping is great and incredibly cheap. Croatia is also home to all the favourite European shops feature including Sephora and Bershka. Cable Car: In the afternoon we took the cable car up to the top of the city and were able to watch the changing of the guard in front of the government buildings. Museum of Broken Relationships: We got to visit the Museum of Broken relationships a really quirky, funny but tragic museum exhibiting artifacts from failed relationships and marriages. In Zagreb, we stayed in a typical party hostel on Tkalciceva Street. However, accommodation in Croatia varies and many people stay in Airbnb style accomodations within people’s homes. This is certainly the case in Pula, Split and Dubrovnik. This style of accommodation is something that reminded me of Cuba. And the Casa’s in Cuba. 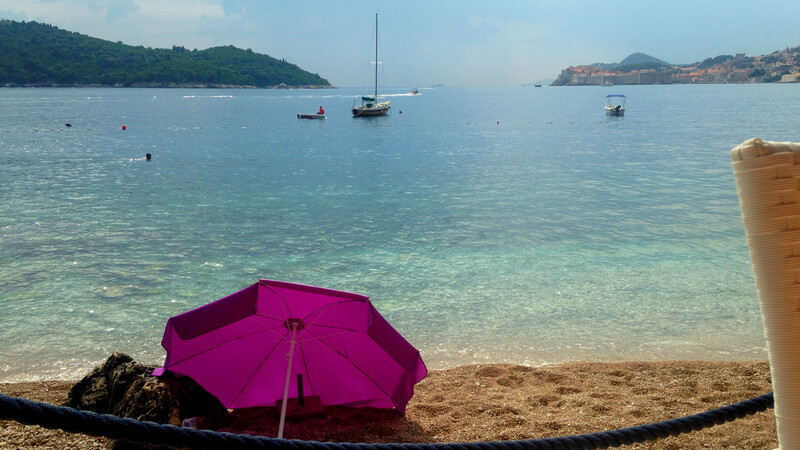 Keep this in mind if you plan on taking the trip down the Dalmatian Coast from Venice to Dubrovnik. 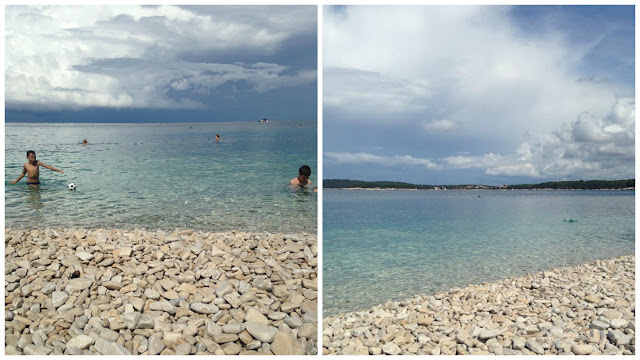 Leaving Zagreb we chose to stop by in Pula, where we spent our time frazzling on stone filled beaches. The amphitheatre, the streets, the pizza and atmosphere in Pula reminded me of Italy. Pula felt like a family holiday destination. The streets came alive in the evenings with joyful families, happy for it to be summer and happy to be on holiday. Souvenir stores and discount clothing stores are open all night. 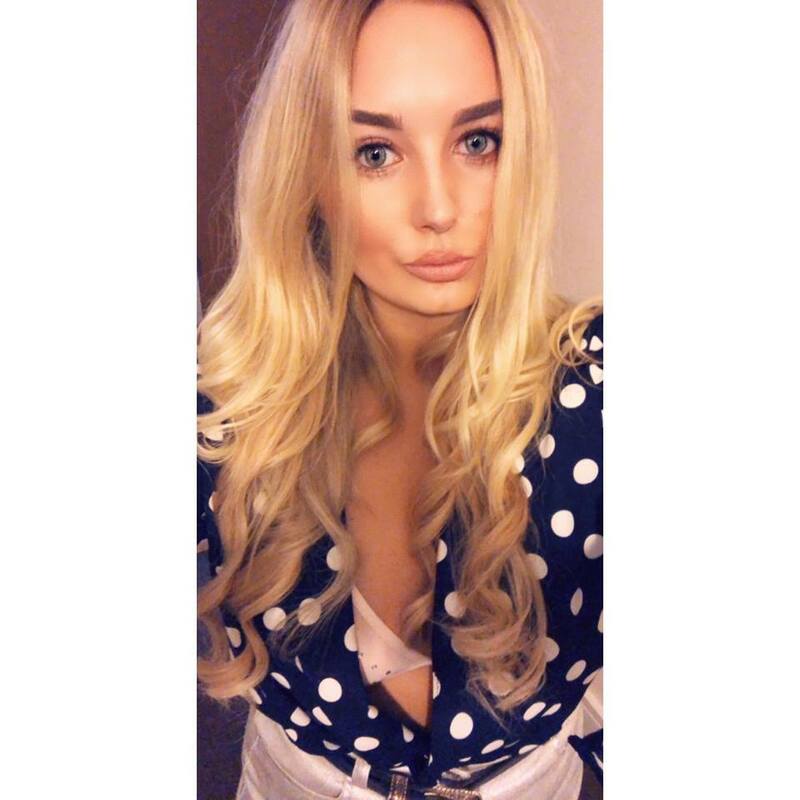 The bars are always busy, the cocktails are always cheap. Pula is a great place to spend a summer evening. 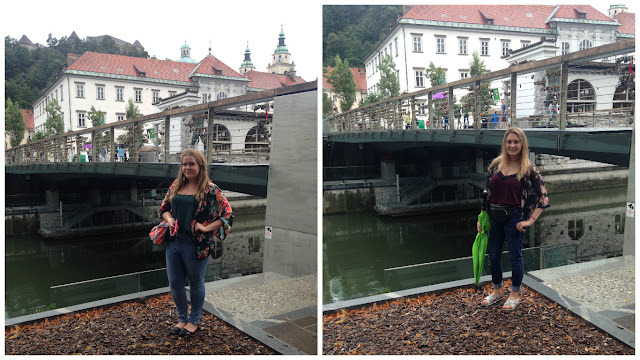 The hot days were followed by cooler nights with the same torrential downpour we’d seen in Ljubljana. From Pula we travelled South via bus, driving down the incredible Dalmatian coast line. Bus travel in Croatia is pretty straight forward, with many operators to choose from. 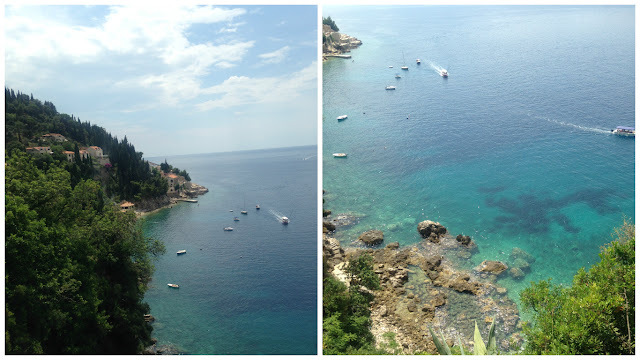 The trip itself from Venice to Dubrovnik was done entirely on bus transport and on a budget. We travelled from Pula to Split via. Zadar to break up the journey with one night in Split before arriving in Dubrovnik. The journey from Split to Dubrovnik too roughly four hours. The journey from Pula to Dubrovnik with no stop in Zadar or Split can take between 8 and 10 hours driving but much longer on public transport. Note, when travelling from Split to Dubrovnik you do have to pass through Bosnia and Herzegovina. We stopped off in a service station and I grabbed my camera for the below photo opportunity. 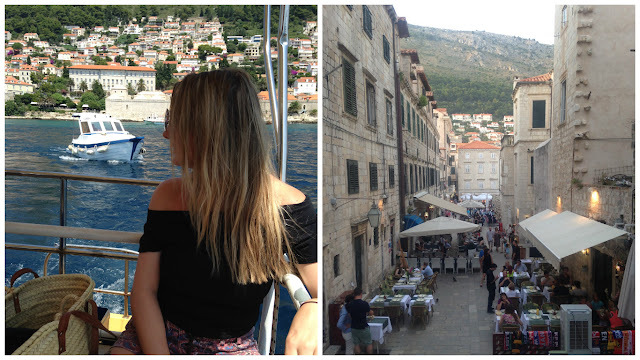 Dubrovnik is the kind of place you never want to leave. The streets are calm, the busses run on time and all the restaurants want your custom. The old Walled City of Dubrovnik is a vision of absolute wonder. The pavements so worn you can’t decide if they are polished or not. The most famed reason to visit Dubrovnik is quite clearly the Walled City. Early evening is the best time to visit. Cooler, less crowded with the perfect atmosphere. The streets are packed with tourists and great bars, restaurants and attractions. 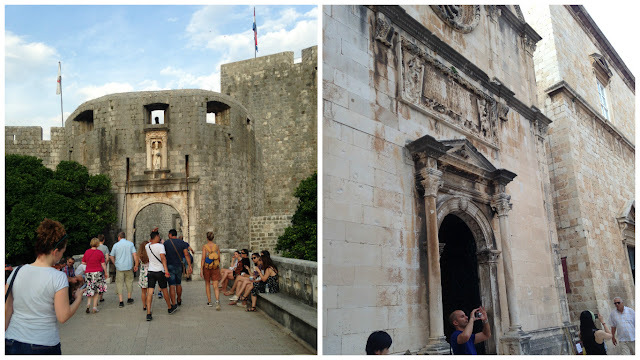 Once you are in the city walled you can explore Dubrovnik Cathedral, which is a must see. Cocktails in plastic cups are in no short supply in the Walled City of Dubrovnik. Don’t be shocked if you don’t see some live music in the open street as tourists sit in restaurant terraces and enjoy traditional cuisine. The Walled City is an obvious choice on the best things to do in Dubrovnik, but the list goes on. From secret beaches and a cable car, to kayak rides around the walled city or boat trips around the various islands there are a lot of great things to do in the city. Most boat trips and tours leave from the stunning Old Port of Dubrovnik which is worth a visit even if you aren’t planning a boat ride. The diverse nature of tourism in this small place is astonishing, accommodation and restaurants that cater to all budgets. Dubrovnik is small but it is quite frankly perfect. Dubrovnik is hot in August and the sun really catches you by surprise. If you spend some time on the islands or beaches you’ll want to be aware of the temperature. I often tell people that Dubrovnik was my Croatian highlight, but I shouldn’t disregard the hours I spent aboard a bus. travelling down the Croatian coastline. Sometimes, the travelling part of travelling gets ignored but it’s often the journey that makes every trip so unique. My time in Croatia was shorter than I’d recommend for a similar trip. But completely doable. Most people opt to Interrail this area and Europe, but bus travel in Europe is equally as fun, but more budget friendly. Wow, what an epic trip. I was in Venice recently and went by cruise ship to Dubrovnik. I had no idea that it was easy to travel to Slovenia, and Croatia by road from there. Something to remember the next time I go there. Thanks for sharing. Was pretty amazing. It's a shame we didn't make it to Montenegro like originally planned. So much adventure so little time. Definitely, really amazing coastal roads, lots to see! Wow – so much inspiration in one post. Thanks for sharing. Croatia has been on my list for too long, your post convinced me that it's about time I make it happen. Thank you so much for you comment! You must see Croatia, the coast is amazing. So many beautiful landscapes. Fab post!! the pictures are incredible!! 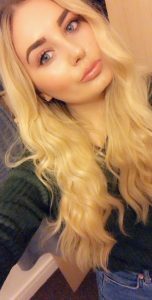 I am planning on going next year and will definitely be taking tips from your post! Thanks so much for your lovely comment! Have the best time. Well done Bryony. The panoramas aren't bad at all. And even in wet weather you manage to convey enjoyment. Keep at it!